Similar to no other country, and unfamiliar to even the most experienced world-traveler, Bhutan itself is the ultimate destination for travelers who crave rare experiences. Valuing its citizens’ harmony and happiness over economic growth, part of the government’s efforts to maintain its culture intact, and its environment pristine, has been limiting foreign travelers within its borders. Tours to China are truly unique, but one can only tour Bhutan through a government-licensed operator, and many religious sites are off-limits to tourists. However when you visit this enigmatic land, you will become one of the few foreigners to witness its slow introduction to the modern world. Walking through the country’s capital, you will see Buddhist monks transcribing religious texts via laptops, and traditionally-garbed businessmen talking on their cellphones. The Tsechu (day ten) festivals usually fall on the tenth day of a Bhutanese lunar month. The month in question depends on the city but usually Wangdue will host its festival from September 23-25, and Thimphu will host the year’s biggest festival from September 25-27. Commemorating the birth of Bhutan’s patron saint Padmasambhava, who introduced Buddhism to the Land of the Thunder Dragon in the 8th century, the festivals will feature intensely rehearsed dances over three days depicting his teachings and life stories. Buddhism is central to the tradition, in fact merely seeing the thongdrel, the large tapestry draped over Thimphu’s dzong (Bhutanese fort), will cleanse one of sin. People from miles around will arrive in their “Sunday best,” and enjoy traditional feasts, familiar religious story-telling, and most of all, each other’s company. 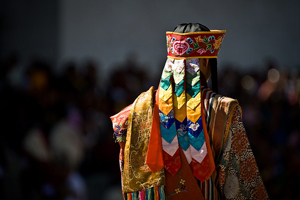 These festivals are at the center of Bhutan’s cultural identity. A fact most recently evident in the first feature film shot entirely in-country, 2003’s Travelers and Magicians, which told the story of a group traveling to the Thimphu Tsechu. Bhutan is the only country to measure its Gross National Happiness, and in a kingdom that values happiness over wealth, its culture’s foundation is built on its tradition and festivals. Similar to most countries around the world, to party in the respective nation’s style is to truly meet its people, and learn its soul. 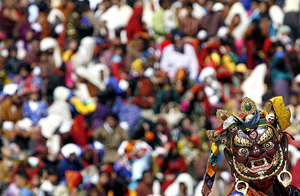 The point we’re trying to make is this: there is no better time to go to Bhutan than during festival season. 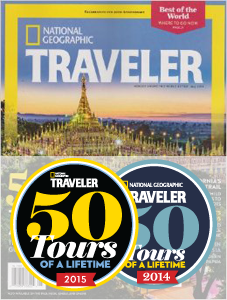 Ask one of our travel specialists to tell you more about our China tours that include Bhutan and will make sure you experience both festivals, as well as Bhutan’s other national landmarks. Gentlemen, don your gho's. Ladies, put on your best kira. 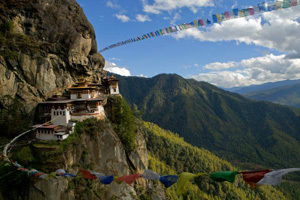 It’s time to explore Bhutan.